The usual 12z and 18z AVN data was unavailable this morning, which was a bit of set back to normal thunderstorm forecasting for the day. 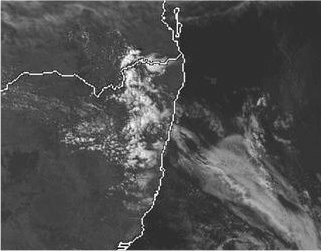 However, going by earlier runs it was shaping up to be a good afternoon in the Northern Rivers, Northern Tablelands and adjacent districts. Shear was reasonable: 15-20 knots from WSW @ 700; 20-25 knots from SW @ 500; though not much stronger above that, and fairly weak below 700. 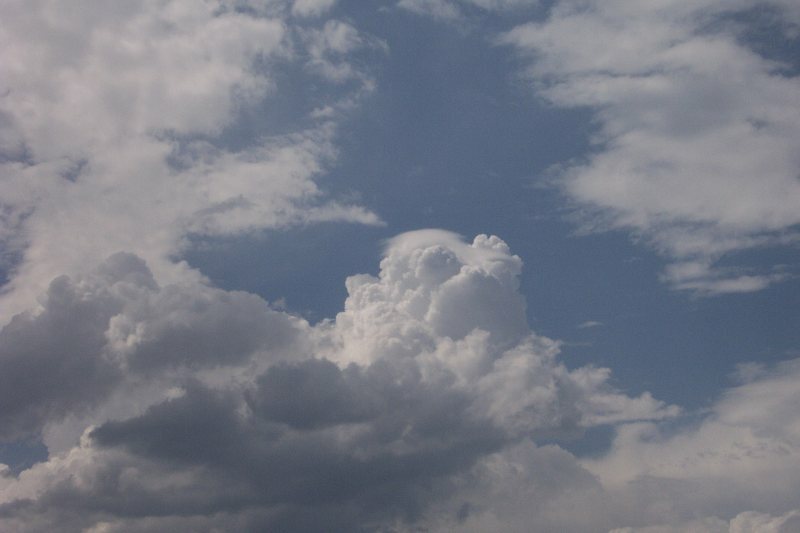 There was however a good surface flow from the NNE. LI was -4 to -6, while CAPE was up to 1,500. 500hPa temps were down to -10 over much of NE NSW, and -9 into SE QLD. Capping would play a part with 850 temps around the 20 degree mark. 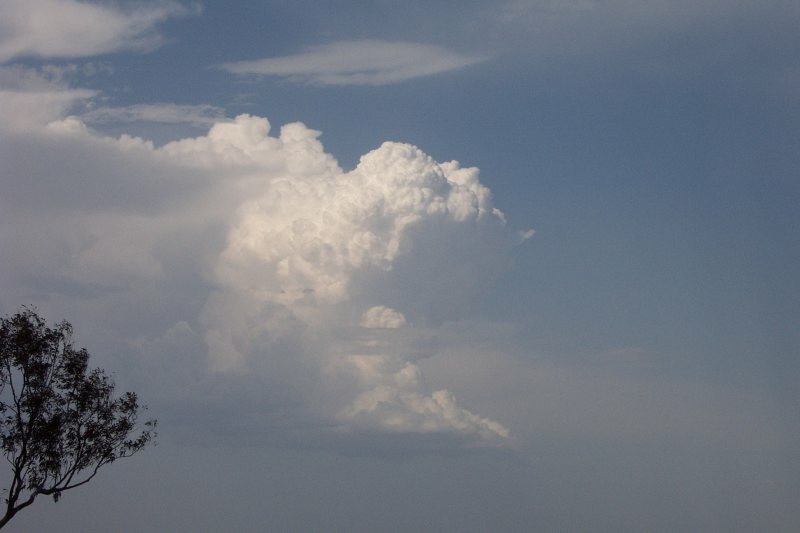 The forecast showed ample moisture, perhaps too much in the lower to mid levels, though it was dry above 500. 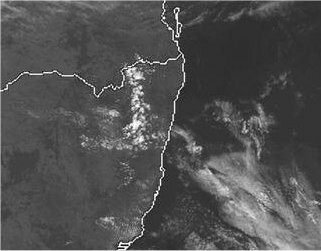 The surface trough on the morning MSL was well placed to provide a trigger for NE NSW, with satellite imagery showing patches of cumulus or altocumulus to the SW, and extending inland - something I always like to see. 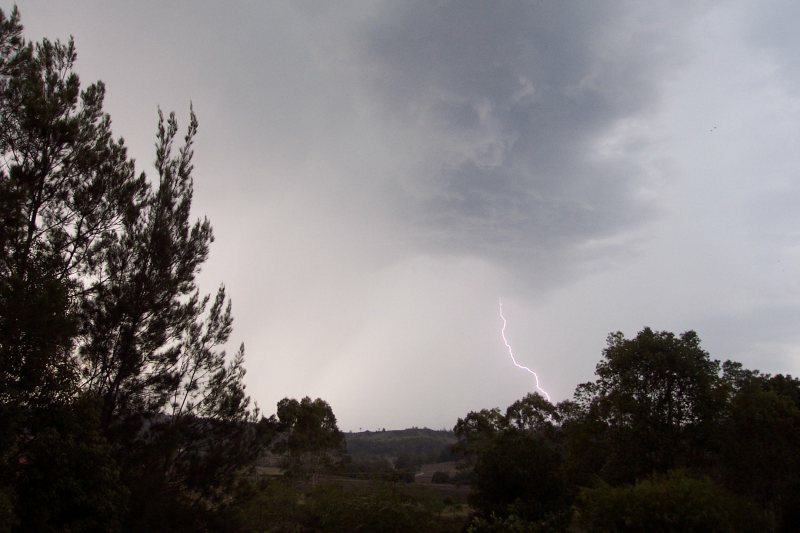 Dave, Rodney, Anthony and I left the Lismore area in two vehicles just after 1.30pm as the first cells appeared on radar along the eastern slopes of the Northern Tablelands. 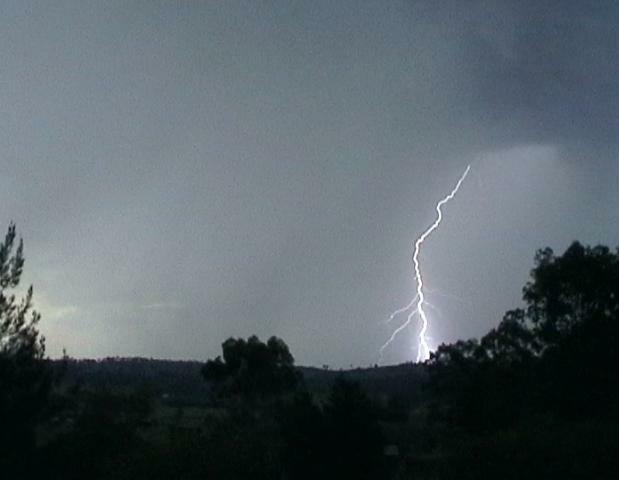 Anthony had driven down from Brisbane, so I was a bit worried if the storms failed to develop! We headed straight out to the Richmond Range at Mallanganee, about one hour west of Lismore. Activity was initially quite weak, though it was hard to tell for sure because of the hazy conditions. 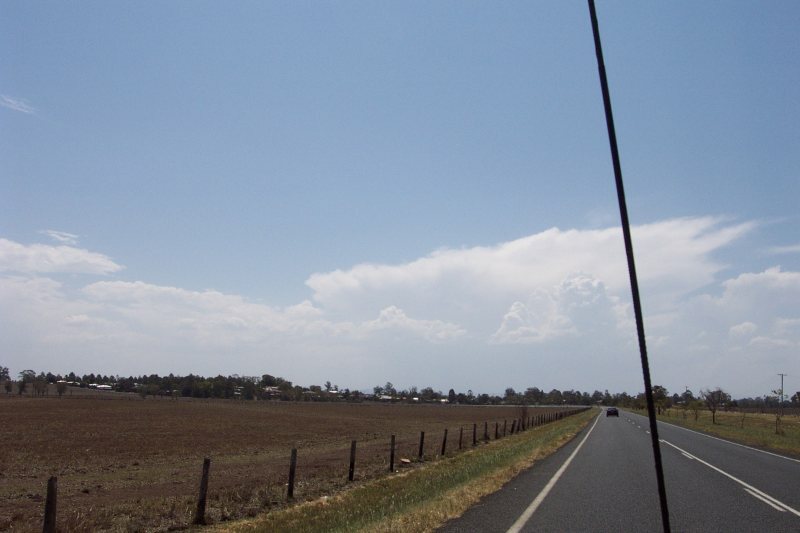 Heat was extreme - we drove through areas between Casino and Mallanganee that were 42.5 C. It was interesting to compare temperatures between the two vehicles via CB radio, but I was dreading waiting in the sun for storms to develop. We positioned the two chase vehicles at the lookout on top of the Richmond Range. Various communication towers are located here, and it has views in all directions. The communications fail to include digital mobile phone coverage for Optus and Telstra though, which is very annoying. 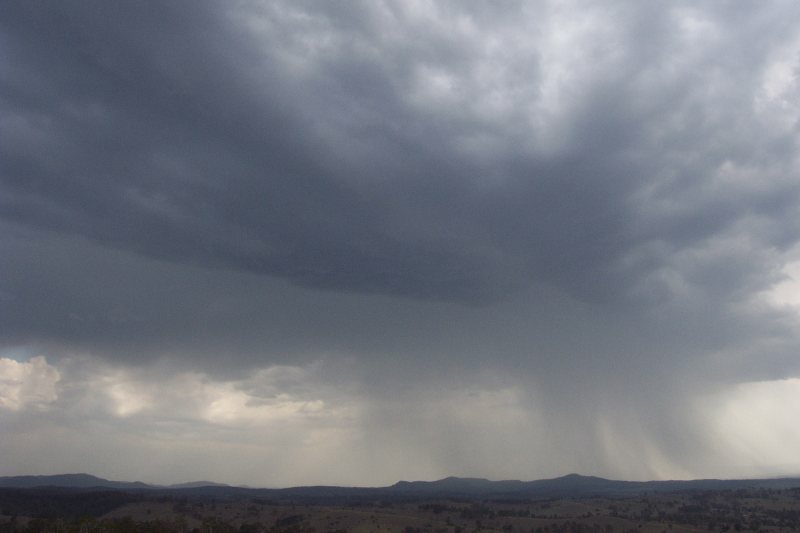 We watched and waited about 90 minutes before a cell started to get its act together to our SW. Rodney was chatting via UHF CB to some people in the Upper Clarence Valley and we obtained some radar updates. 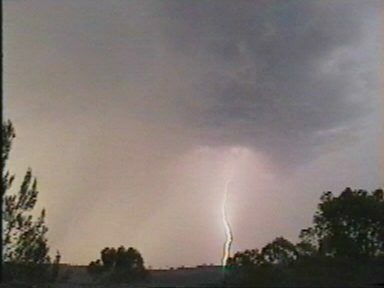 Thunder was heard well before we spotted any lightning, but soon impressive CGs were hitting fairly closely in the valley. 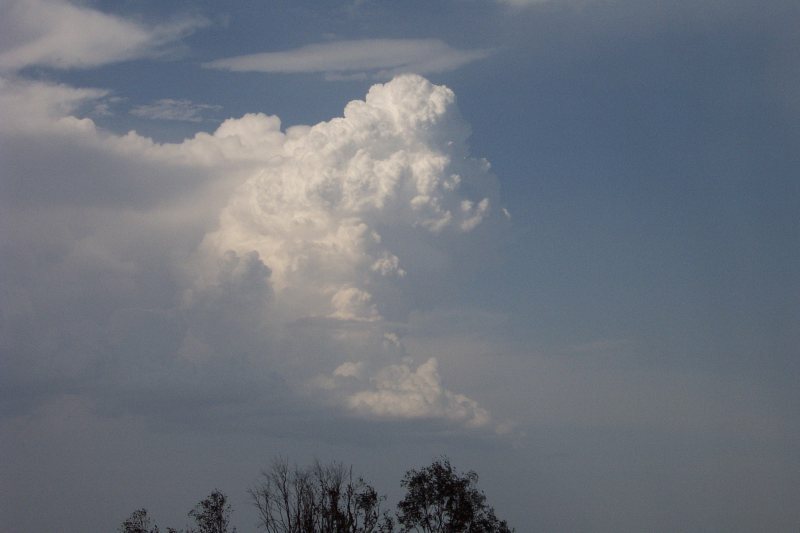 A rippled rain free area spread towards the east from the main updraft, and other storms were developing over the Nightcap Range to our NE. We enjoyed the show, speculating on likely further development and where to continue the chase. 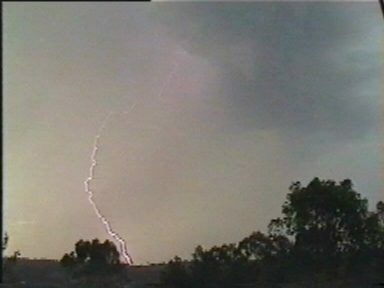 By about 4pm, intense rain was falling and the lightning was too close for comfort. 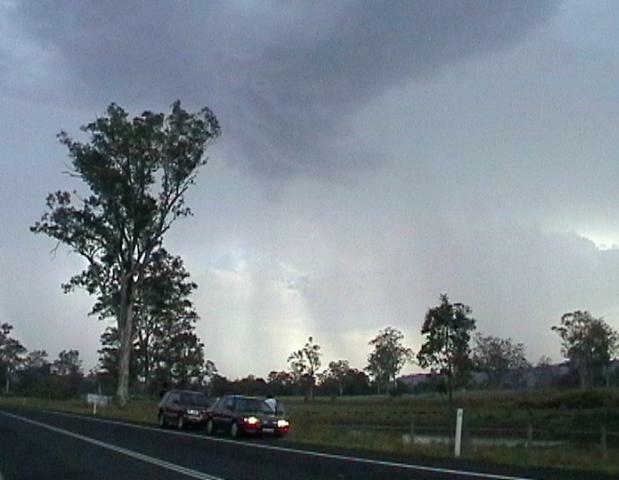 We headed east back to Casino, then north towards Kyogle. 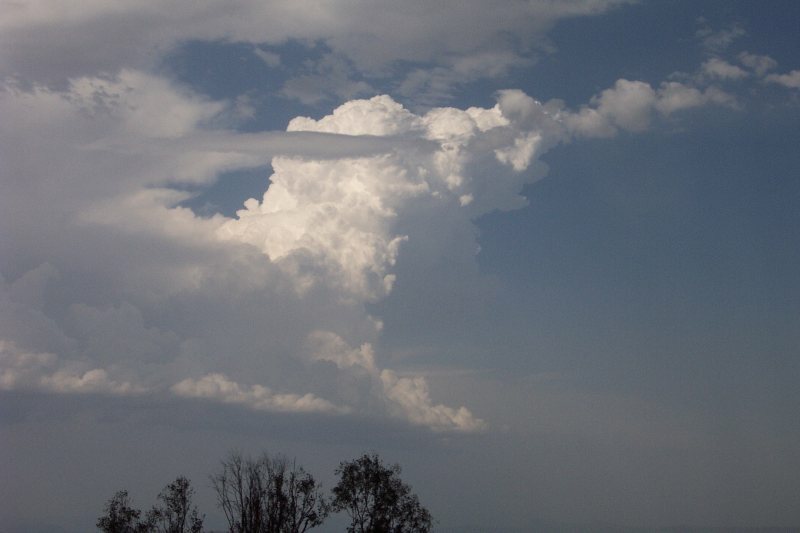 A storm formed just north of the first one we had been watching and it was slowly tracking NNE. 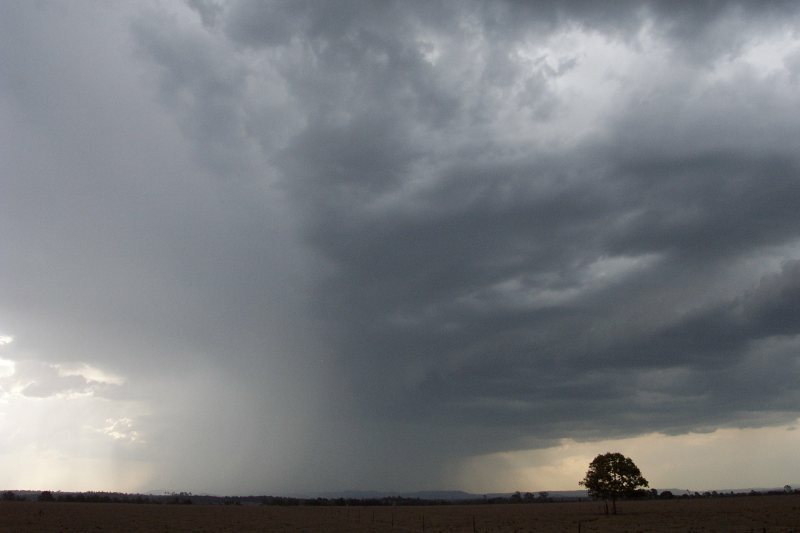 Intense precipitation occurred in isolated shafts. 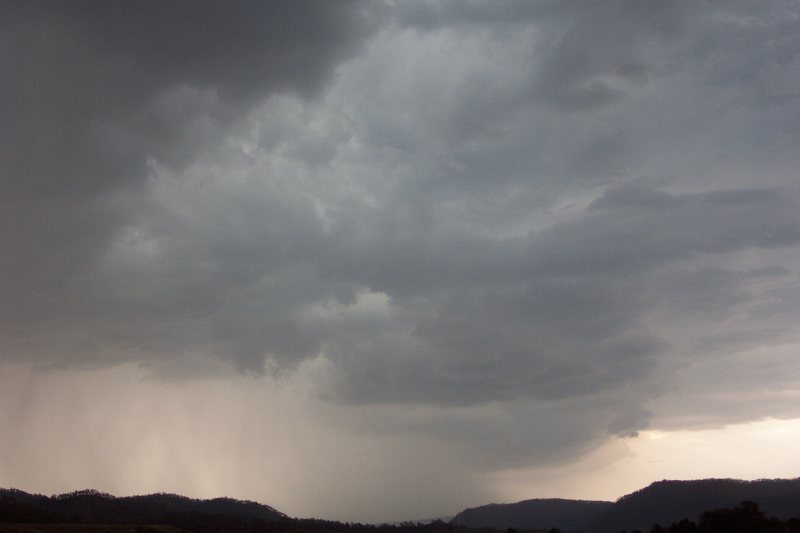 This storm was lovely to watch as we moved further north along the Casino Kyogle road. Numerous intense CGs punched out of a highly contrasted, high based storm. 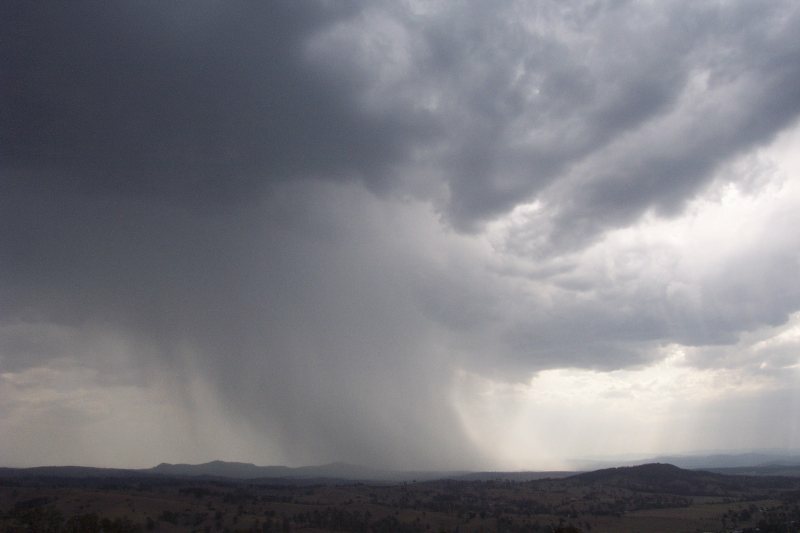 The Bureau of Meteorology issued a Severe Thunderstorm Advice on this cell. 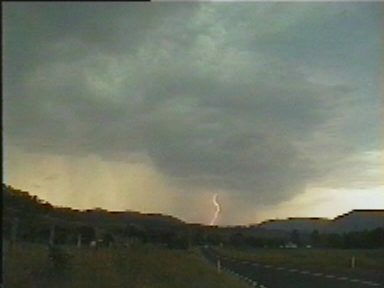 We took a west turn at Kyogle to intercept the rain free area - just in time to see a very intense phase of lightning activity ! 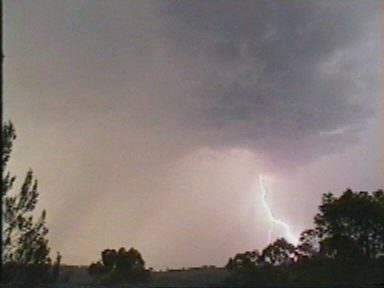 Numerous pulsating CGs hit very close to our location, with some amazing images captured on video. 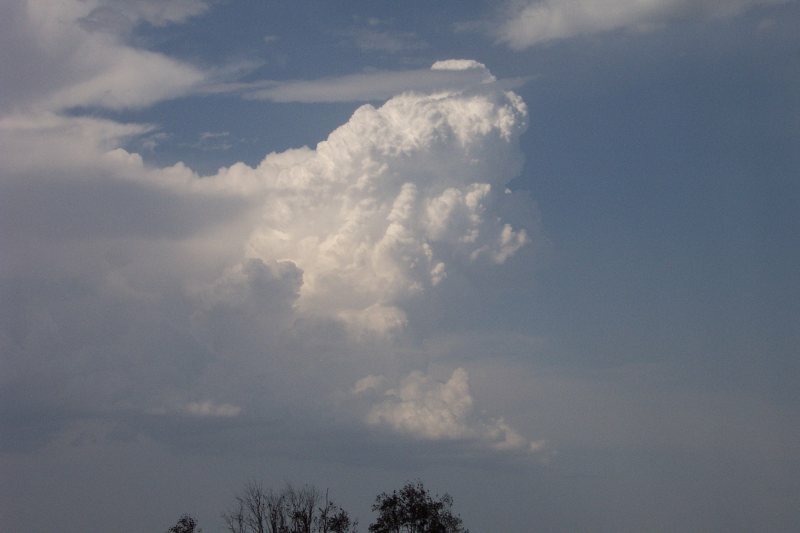 Shortly afterwards we moved north again as another cell was forming on the northern flank. We ended up north of Wiangaree on a fairly deserted Summerland Way. 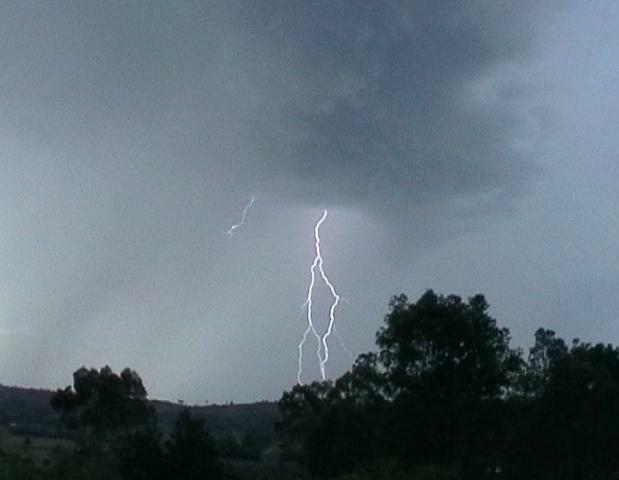 Plenty of lightning continued, with lovely deep rumbles through the valleys. 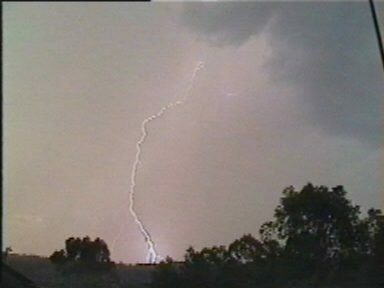 We had been watching the storms for about 3 hours, but because of their slow movement, they had only covered about 70 to 80 kilometres. 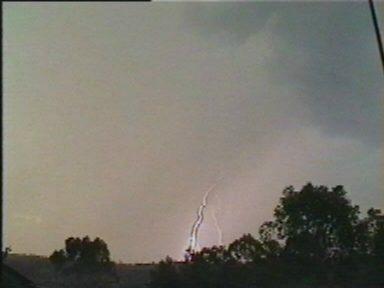 We pursued some heavy perception shafts in the hope of some hail, but they were in inaccessible hilly terrain. About 7pm we headed back south to Casino for dinner, hoping some lightning active storms would give us a show into the night. 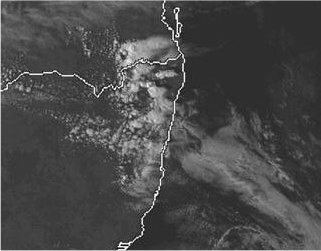 A shallow SE change put an end to that, despite some cells persisting in the region. 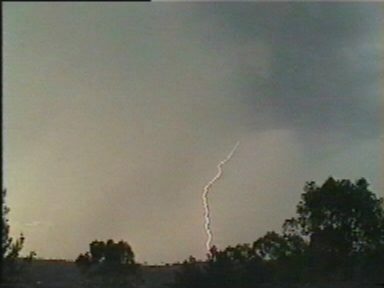 We later found out that the storm just west of the Richmond Range managed to topple a 50 foot radio tower on a private property near Old Bonalbo. 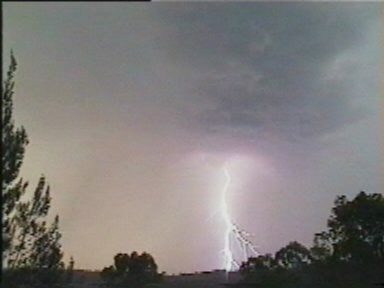 An AWS on the tower measured a gust of 102km/h before damage to the tower occurred. 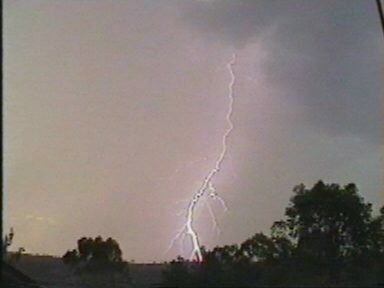 According to media reports, several houses lost their roofs at Bonalbo and Old Bonalbo. From TWC Weatherzone at 2pm, 4pm & 5pm local.